There is a moment in X-Men: Apocalypse where Jean Grey, Cyclops, Nightcrawler and a strangely underutilized Jubilee are exiting a movie theater in 1983, and the film they just finished watching? Return of the Jedi. This moment is placed here simply to make a joke about the third film always being the worst, and it was made clear by producer Simon Kinberg that it was absolutely a slight towards X-Men: The Last Stand, the atrocious final piece to the original X-Men trilogy. The problem here is not the concept of making fun of The Last Stand, which absolutely deserves any mockery that is tossed its way, but that even if the characters from the originals overlap through confusing timelines, I view the films starting with First Class as a new trilogy rather than a continuation. Therefore, X-Men: Apocalypse is the third film this time around and yes, it is without a doubt the worst. Had this been a clever, self-aware piece of writing about their own film, it still wouldn't sit right because you never really want a filmmaker and screenwriter being prophetic about their own picture's critical and audience poor reception, but it's even worse being that it is a knock on the misguided Brett Ratner film from a decade ago because while far, far stronger than The Last Stand, Apocalypse sort of feels like that again to a degree. Coming off the wonderful high that was Days of Future Past, to step down at a time when things seemed to be elevating to something spectacular is disappointing, much like when X2 soared and then Bryan Singer left and the concluding picture was handed to someone else. I had to make sure I mentioned that Apocalypse was leaps and bounds better than The Last Stand because to associate the two would be dishonest, unfair and hyperbolic of me. The Last Stand was a disaster that was laughably bad early and often where as I was entertained by Apocalypse and I was engaged for most of it, but there in lies the problem: most. Not all. Days of Future Past has me from frame one and it is paced expertly, managing to balance seemingly way too many characters with strong dialogue and relationships that resonate emotionally, and the film proved me wrong in that regard. I recall prior to its release I had expressed my concerns that Days of Future Past would be a mess because it was trying to spin too many plates at once, but I was thrilled to tip my cap to Bryan Singer for not only making it work, but making it work incredibly well. 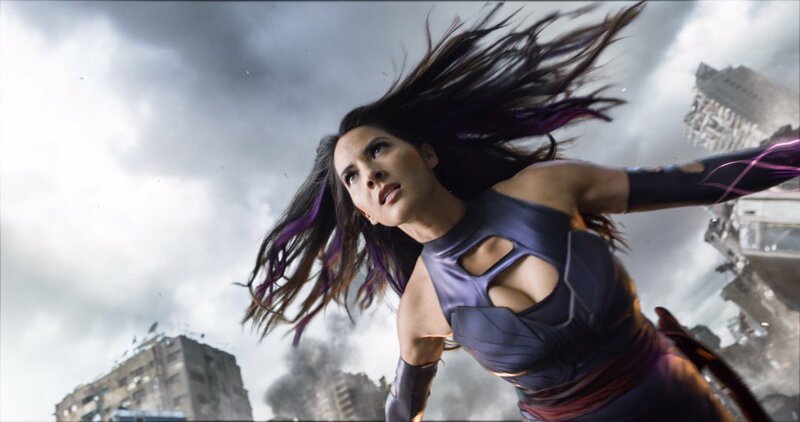 Because Singer had earned my trust, I never once worried about X-Men: Apocalypse the way I had the previous film because I was confident he would be able to demonstrate his strength handling the too many heroes for one film issue, which made it a letdown when Apocalypse ended up being a bit of a mess itself. There simply isn't a strong flow to this film. When I think about my favorite superhero film of the year, Captain America: Civil War, there is this perfect build up in terms of plot and character that leads into the airport hanger sequence and beyond and everything is so satisfying. It just flows smoothly. X-Men: Apocalypse feels like a scattershot of scenes meant to lay out the plot groundwork but nothing ever really gels, and when we get to the big, blockbuster event of the whole thing, the battle to save the world, it never felt like a payoff to a well handled crescendo. As buildings are falling and the end appears to be near, I wasn't nearly as exhilarated as I would have hoped. Still, despite the disappointment, some truly wonderful moments rose from the ashes and they still linger in my mind now. 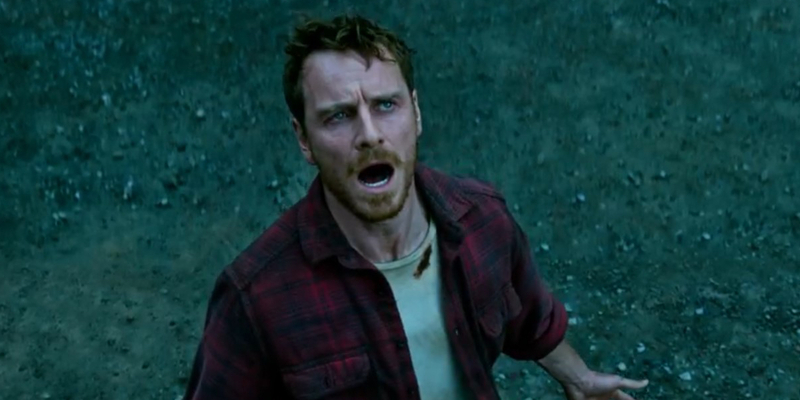 Pretty much anytime Erik Lehnsherr/Magneto (Michael Fassbender) was on the screen I was sucked in and completely immersed in the scene and some of them were incredible, especially a sequence involving a tragedy that changes the course of his life, a life he wanted to live with normalcy. James McAvoy is on his game again as Charles Xavier, and most of the other pieces of the ensemble fit into their roles nicely. One disappointment for me was Jennifer Lawrence, not because the performance was poor (it wasn't) but because she wasn't really asked to shine, and when such a huge name who has proved repeatedly to be a very gifted actress ends up playing a very unmemorable role in a film, it's noticeable. 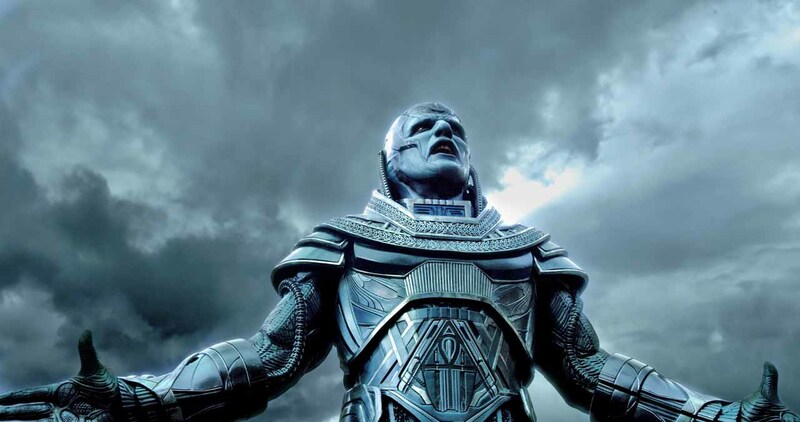 Another is Oscar Isaac as Apocalypse. I am an enormous fan of Isaac, from his small but vital role in Drive to his brilliant turn with a Coen script in Inside Llewyn Davis, and he brought some of that Star Wars magic back to life in The Force Awakens. Here though, it's a nothing role. There is no nuance at all to this villainous performance, just the same booming voice cadence with one of my favorite actors caked in so much makeup that you could have cast anyone and I would have never known the difference. X-Men: Apocalypse is a pretty good but deeply flawed yet fun spectacle. It just can't reach the lofty heights of both First Class and Days of Future Past. The third film is indeed the worst. I know what you mean Cody, it seems like the X-Men are at their best when they aren't fighting an ultimate level threat but rather dealing with each other during smaller, quieter interactions. Of course the films need action and intensity but not necessarily all out CG shitstorms that take an entire act of the film to resolve.